If you are a fan of vacuum microdermabrasion treatments at your medi-spa or day spa, which can get pretty pricey, you might want to look into a machine that could offer huge savings. Crystalift Resurfacing combines two new technologies—crystal microdermabrasion and vacuum lift therapy—into one relatively compact machine that you can use at home. Vacuum microdermabrasion works much like facial scrubs, but more deeply. Aluminum oxide micro-crystals scrub up the dead cells and are then vacuumed away, leaving behind clean, “young” skin that will absorb skincare products more efficiently. After watching the instructional video that came with the machine, I set it up and practiced on my arm as advised. I felt the suction and noticed the crystal layer left behind. I then moved it into the bathroom so I could work on my face with the help of the mirror. I never had a treatment like this in a professional’s office, so I have to say I found it a bit weird. Kind of like vacuuming my face with fine sandpaper. The machine has a “comfort” control, which allows you to choose the intensity of the treatment. I found that, at first, I preferred the lowest setting, as it stung a bit, but I was able to eventually increase it comfortably. Crystalift comes with four crystal capsules, one for each weekly treatment (you need to purchase capsules for future treatments). It took a bit of practice to get the motion down, and I went through two capsules in that first treatment. A safety device prevents the vacuum from working when it’s not flush with the skin, so the nose area proves a bit difficult. After three treatments, I still haven’t quite mastered the nose, but I am able to complete my entire face with one capsule. 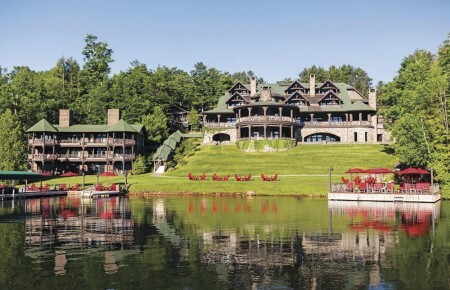 For me, the results weren’t quite the “instant facelift,” as this treatment has been labeled, but after just one treatment, I was pleased to note that my skin felt like velvet. Three treatments have noticeably reduced fine lines, as well. And after the initial awkwardness, I was actually having fun! 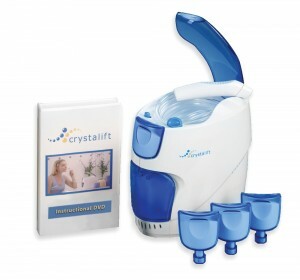 Crystalift is available at crystalift.com, and while it is currently offered for $199 with free shipping, I found it even cheaper at other retail sites, so do shop around. Compared to upwards of $200 per in-spa treatment, owning this machine can not only save your face, but your budget as well! The holidays give us the opportunity to express our appreciation and affection for loved ones. This year, why not do the same for ourselves? A simple little treat that can help ease holiday stress while giving a healthy boost to both our mood and skin—body scrubs is just that ticket. Exfoliating regularly is always a good idea, but once it’s cold enough to turn up the thermostat, indoor heating does its best to dry out our skin. Scrubz uses sugar, the basis of glycolic peels, as its exfoliating agent, as well as a variety of oils such as cosmetic mineral, grapeseed, olive, canola, aloe vera, coconut, vitamin E and soybean. They offer so many scents that you are bound to find more than one you love (lavender for me!). 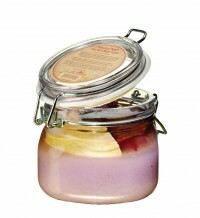 If not, you can either choose the unscented scrub or have them create a custom concoction. Carol’s Daughters prefers sea salt, along with jojoba, avocado and wheat germ oils; all products are free of paraben, petroleum, mineral oil and artificial color. They come in a variety of unique scents, such as Ecstasy (pineapple, white florals, musk), and my favorite, Jamaican Punch (Fuji apple, cinnamon, musk). If you prefer a smoother scrub, Kings & Queens offers “royal mixes” of exotic ingredients and have names like Sultan of Granada and Aztec King; these scrubs serve up extra creamy lather. 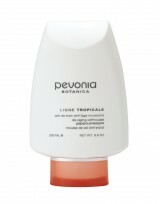 Pevonia’s De-Aging Salting Mousse is a lush sea-salt scrub that comes in a user-friendly tube in two yummy scents, mango-passion fruit and papaya-pineapple. This one is definitely a favorite. It was a sad day when I squeezed the last drop out of my papaya-pineapple. Both brands are paraben and mineral oil free. There is some controversy surrounding the use of petrolatum and its liquid form, mineral oil. Some say it “suffocates” skin, while others claim it locks in moisture. Some say it’s not “natural,” although it is exactly that. Cosmetic grade mineral oil is still widely considered to be the safest, least irritating moisturizer—it has been the primary ingredient in baby oil for decades. Yet, some studies do seem to indicate there might be negative side effects. All of these scrubs are great choices, but only you can decide what goes on your skin!